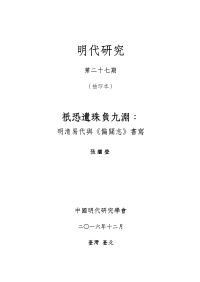 Two members of AEAEH have their articles published in Taiwan Historical Research [台灣史研究], Vol. 25, No. 3 (September 2018). Pin-tsang Tseng (曾品滄)’s article entitled, “Transformation of Taiwanese Cuisine and Cross-border Exchange of East Asian Food Culture in Japanese Colonial Taiwan (日治時期臺灣菜譜的演進與東亞食文化的跨境流動),” pp. 43-82. 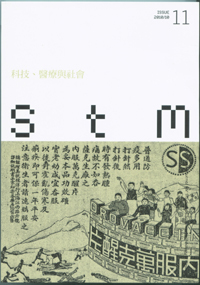 Kuang-chi Hung (洪廣冀)’s article entitled, “From ‘Shame of Taiwan’ to ‘Fastest-developing Industry’: Rethinking Industrialization of Forestry in colonial Taiwan (從「臺灣之恥」到「發展最速的產業」：再思日治時期臺灣的科學林業與工業化),“ pp. 53-140. 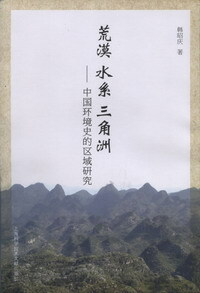 A new book in Chinese, entitled, 万物并作: 中西方环境取的源与展望 written by [美] 濮德培 (Peter Perdue) and translated by 韩昭庆 of Fudan University was just published in August 2018, by Beijing: SDX Joint Publishing Company 生活˙讀書˙新知三聯書店, in 268 pages. The Journal of Chinese Historical Geography [中國歷史地理論叢], Vol. 33, No. 4 (October 2018), includes two articles contributed by the member of AEAEH. 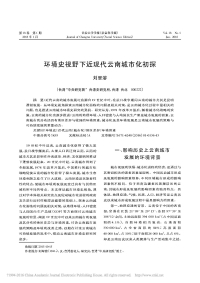 These articles are: “Resource” as a Historical Concept (“资源”作为一个历史的概念) by Wang Lihua 王利华; On the Geographical Value of Ferdinand von Richthofen’s Investigation Into Shanxi Province (李希霍芬山西考察的地理学价值刍议) by An Jiesheng 安介生 and Gu Shuai. 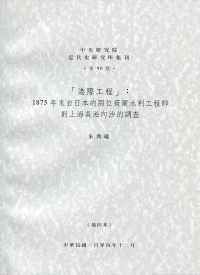 The AEAEH member, Zhang Yan 張岩 of Nankai University in Tianjin has an article entitled, ‘From “Minding One’s own Business” to “Full Inter-County Cooperation”: A Tentative Discussion of the Unification of the Management over the “Minnian” dykes to the West of the Old Grand Canal in Shandong Province during the 1920s and 30s’ (从 “各修各境” 到 “通力合作” ─ 20世纪20-30年代山东黄河旧运河以西河段民埝治权统一问题刍议) published in Journal of Chinese Historical Geography [中國歷史地理論叢], Vol. 33, No. 3 (July, 2018), pp. 34-45. 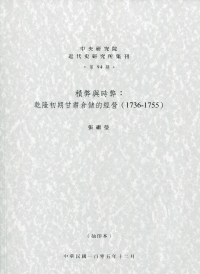 The Journal of Chinese Historical Geography (中國歷史地理論叢), Vol. 33, No. 3 (July 2018), has included articles by two AEAEH members: (1) Gao Sheng rong (高升荣), “Exploration of Agriculture Water Institute in Guanzhong Plain from the Perspective of Environment History (环境史视野下的关中地区农业用水制度研究),“ pp. 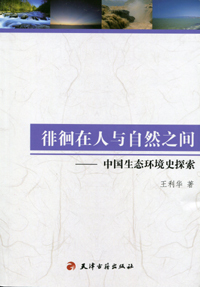 26-33; (2) Zhang Li (张莉), “New Research on Turk Prefectures in the Zhenguan Reign (唐贞观时置突厥府州新考),” pp. 68-74. 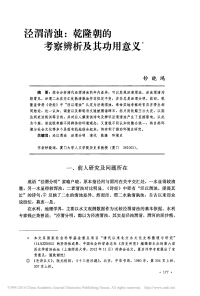 Member of AEAEH, Nie Chuanping 聂传平 has an article entitled, “The Distribution and Retreat of Wild Elephants in Ling Nan Area during the Tang and Song Dynasties (唐宋时期岭南区野象分布与变迁探析),” published in Journal of Chinese Historical Geography (中國歷史地理論叢) Vol. 33, No. 2 (April 2018), pp. 70-78. 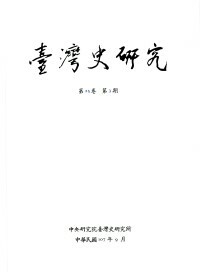 《歷史地理》(Lishi Dili) No. 36 (February 2018) included several articles related to environmental history contributed by the member of AEAEH. 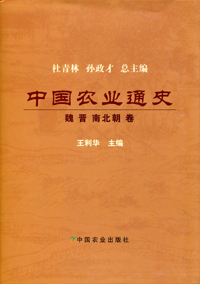 These articles are: “Where the River Gone: The Discussion about shunted Zhang River to Increase the Amount of Water in the Wei River and the Old Ways in 15th to 18th Century” by Pan Mingtao (潘明涛); “Chinese Tofu Production Development and Spatial Distribution during the Historical Period” by Lan Yong (蓝勇) and Qin Chun Yan; “On the Population and Cropland Development in Zhangjiuhe Basin since Qing Dynasty” by Huo Renlong (霍仁龙). 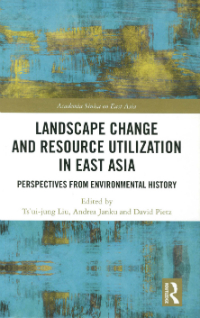 A new volume in the series of Academia Sinica on East Asia, entitled: Landscape Change and Resource Utilization in East Asia: Perspectives from Environmental History edited by Ts’ui-jung Liu, Andrea Janku and David Pietz, is just published (London and New York: Routledge, 2018). 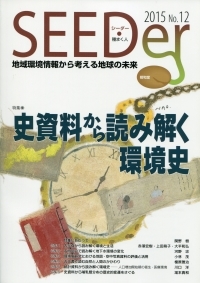 This volume collected 11 chapters revised from papers originally delivered at the EAEH 2015 (held in October at Takamatsu, Kagawa, Japan). These chapters are contributed by J. Donald Hughes, David Pietz, Renlong Huo, Ya-wen Ku, David A. Bello, Kaihei Koshio, Kentarou Inoue, Ts’ui-jung Liu, Hurng-jyuhn Wang and He-liang Huang, Jin Liu and Lei Kang, as well as Chuanfei Liu. 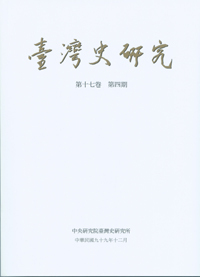 Dr. Ku Ya-wen 顧雅文, a AEAEH member and an Assistant Research Fellow at the Institute of Taiwan History, academia Sinica, has just published a volume in Chinese, entitled,《測繪河流：近代化下臺灣河川調查與治理規圖籍》(Surveying and Mapping Rivers: Maps of Taiwan's River Survey and Regulation under Modernization), published by Water Resources Planning Institute, Water Resource Agency, Ministry of Economic Affairs (經濟部水利署水利規劃試驗所，2017.12), 225 pages. 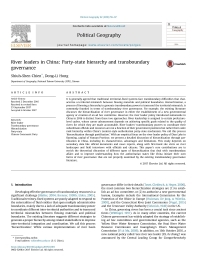 Dr. Shiuh-shen Chien 簡旭伸, a member of AEAEH, has his article, “River Leaders in China: Party-state hierarchy and transboundary governance,” (co-author with Dong-Li Hong), published in Political Geography 62 (2018): 58-67. The AEAEH member Li Yushang 李玉尚, with coauthor Gu Weifang, has an article entitled: “The Relationship between Schistosomiasis and Migration in Kaihua County of Zhejiang Province after the Taiping Rebellion (太平天國戰爭後浙江省開化縣的血吸蟲病與移民)”, published in Journal of Chinese Historical Geography [中國歷史地理論叢],Vol. 32, No. 3 (July 2017), pp. 102-114. In Journal of Chinese Historical Geography [中國歷史地理論叢] Vol. 32, No. 2 (August 2017), there are two articles contributed by members of AEAEH. (1) Shi Jianjun and Wang Shejiao 王社教, “A New Textile Study on the Locations of Eljigen Cigin and Red City Reclamation-Minghan in the Yuan Dynasty (元代燕只哥赤斤、红城屯田千户所地望新考)”, pp. 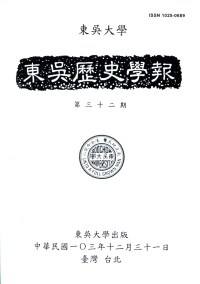 34-44; (2) Chen Tao陈涛 , “A Study on the Experience and Historical Value of Atlas and Notes on Dikes on the Yangtze and Han Rivers Preserved in Library of Congress (美国国会图书馆藏明刻本《江汉堤防图考》的来历及史料价值初探)”, pp. 126-136. Four members of AEAEH had their articles published in the Journal of Chinese Historical Geography [中国历史地理论丛] , Vol. 32, No. 1 (January 2017). (1) Wang Shejiao 王社教, “The Way of Chinese Historical Geography to go (中国历史地理学向何处去),” pp. 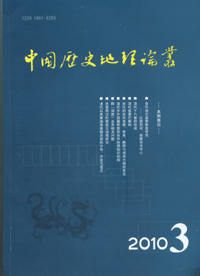 5-8; (2) Lan Yong 蓝勇, “Theoretical Construction and Realistic Thinking of ‘Human-Earth Spatial-Temporal Studies’ (「人地时空学」的理论建构和现实思考),” pp. 11-14; (3) Han Maoli 韩茂莉and Tong Meng, “Review on the Research Methods of Historical Geography (历史地理研究方法刍议),” pp. 15-17; and (4) Hou Yongjian侯甬坚, “Research on Historical Geography: How to Face the World History in the Past 10000 Years (历史地理研究：如何面对万年世界历史),” pp. 24-27. 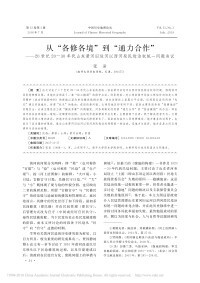 Dr. Chi-ying Chang 張繼瑩, an AEAEH member and a post-doctoral fellow of the Institute of History and Philology, Academia Sinica, has two articles written in Chinese published recently. (1) “Elimination Abuses: The Grain Management system in Gansu, 1736-1755 (積弊與時弊：乾隆初期甘肅倉儲的經營，1736-1755),” in Bulletin of Institute of Modern History, Academia Sinica [中央研究院近代史研究所集刊], No. 94 (December 2016), pp. 41-76. 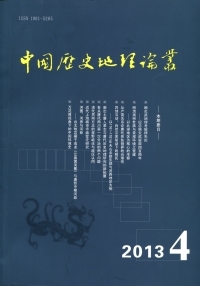 (2) “In Fear that Pearls will be Lost to the Deep: The Ming-Qing Transition and the Compilation of the Pianguan Gazetteer (祇恐遺珠負九淵：明清易代與《偏關志》書寫),” in Ming Studies [明代研究], No. 27 (December 2016), pp. 159-187. Mr. Zhang Yan 張岩, an AEAEH member and a Doctoral student at the Department of History, Chinese University of Hong Kong, has written a review article on Micah S. Muscolino’s book, “Writing Sino-Japanese War in a perspective of environmental history──A review on Micah S. Muscolino’s The Ecology of War in China: Henan Province, the Yellow River, and Beyond, 1938-1950 (環境史視野下的抗戰史書寫──評穆盛博《中國的戰爭生態學：河南、及其他，1938-1950》),” in The Journal of Studies of China's Resistance War Against Japan[抗日戰爭研究], No. 4 (December 2016), pp. 144-150. 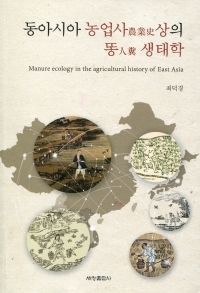 Professor Choi, Duk Kyung 崔德卿 of Pusan National University, a member of AEAEH, has published a book, entitled Manure Ecology in the Agricultural History of East Asia (December 2016). 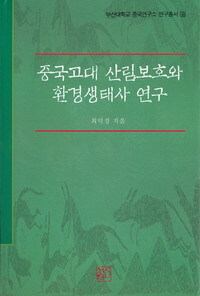 This book is written in Korean with abstracts both in Chinese and English. 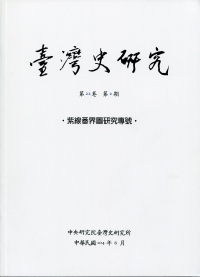 Professor Wang Shejiao 王社教 of Shaanxi Normal University, a member of AEAEH, has coauthored an article entitled, “A New research on the Location of the Ri-Yue Mountain in Mobei (元代漠北日月山地望新考),” in Journal of Chinese Historical Geography [中國歷史地理論叢], Vol. 31, No. 4 (October 2016), pp. 53-64. 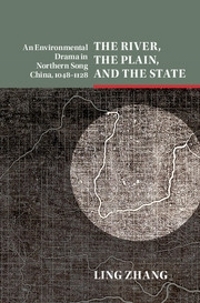 Dr. Ling Zhang 張玲, an AEAEH member and Associate Professor of Boston College, has published a book, entitled The River, the Plain, and the State: An Environmental Drama in Northern Song China, 1048-1128 (Cambridge University Press, September 2016). For more information of the book, please visit the webpage of Cambridge University Press. 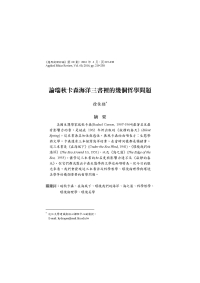 Dr. Ya-wen Ku 顧雅文 of Institute of Taiwan History, Academia Sinica, had an article entitled, “From Valuable Medicine to Ordinary Wood: the Biography of Cinchona and Quinine in Taiwan, 1930-1960 (1930-1960年金雞納與奎寧在臺生命史──時空特徵與意義轉化)”, published in New History [新史學], Vol. 27, No. 3 (September 2016), pp. 177-226. 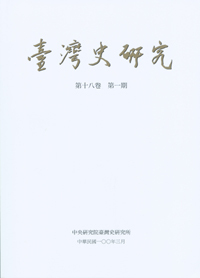 A Chinese volume entitled, 环境史研究的理论与实践 Huanjinshi Yanjiu de Lilun yu Shijian [Theories and Practices of Environmental History], (Beijing: People’s Publishing Company 人民出版社, August 2016) was edited by Dr. Chao Xiaohong 钞晓鸿, a member of AEAEH. 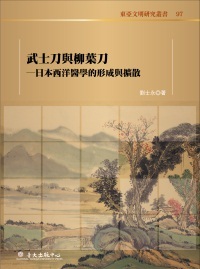 This volume included an introduction and 13 articles written by Chinese scholars (most of them are members of AEAEH) engaging in doing research and teaching environmental history at various universities in China. 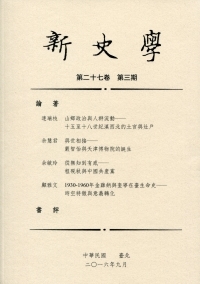 Dr. Wang Hurng-Jyuhn 王鴻濬, member of AEAEH, and his coauthor, Chang Ya-mien 張雅綿, have published their book in Chinese, 1922 無盡藏的發現：哈崙百年林業史 [Discovery of Treasure in the Clouds in 1922: The Hundred-year History of Halun Forestry] (Hualien: Hualien District Forest Office, Council of Agriculture, Executive Yuan, June 2016), 261 pages. Dr. Han Zhaoqing 韩昭庆 of Fudan University, Shanghai and her coauthors, Ran Youhua 冉有华, Liu Junxin 刘俊秀, and Li Jun 李军, had an article entitled, “the changing distribution of rocky desertification in the Guangxi Region, 1930 to 2000 (1930s-2000 广西地区石漠化分布的变迁),” published in ACTA GEOGRAPHOCA CINICA [地理學報], Vol. 71 No. 3 (March 2016), pp. 390-399. 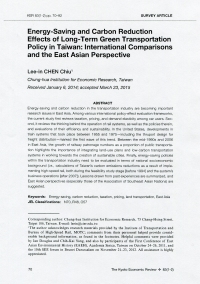 Dr. Lee-inn Chen Chiu 陳麗瑛, member of AEAEH, has her article, entitled “Energy-Saving and Carbon Reduction Effects of Long-Term Green Transportation Policy in Taiwan: International Comparisons and the East Asian Perspective”, published in The Kyoto Economic Review, Vol. 83. Nos. 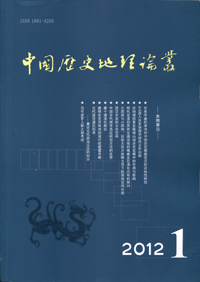 1-2 (2015), pp. 70-92. Three articles published in Journal of Chinese Historical Geography [中國歷史地理論叢], Vol. 31, No. 2 (April, 2016) are contributed by AEAEH members. These articles are: “The Phragmites australis community, water environment, and the change of Jiangnan ancient ecology (蘆葦群落與古代江南濕地生態景觀的變化),” by Wang Jiange 王建革, pp. 5-13; “A Study on the Changes of Location, Extent, and Gates of Ancient Chongqing City (古代重慶主城城址位置、範圍、城門變遷考),” by Land Yong 藍勇 and Peng Xuebin 彭學斌 (non-member), pp. 59-68; “The Study on the System of Xinjiang’s map Drawing in the late 19th Century (清光緒前中期新疆普通地圖的繪製及其相關問題研究),” by Liu Chuanfei 劉傳飛, pp. 128-141. 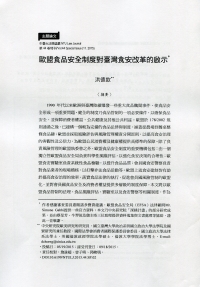 Dr. Liu Ts’ui-jung 劉翠溶 has an article, entitled “環境史視野下近現代雲南城市化初探 (Exploration of modern Yunnan urbanization form the perspective of environmental history),” published in Journal of Chang’an University (Social Science Edition) [長安大學學報(社會科學版)], Vol. 18, No. 1 (January 2016), pp. 136-148. 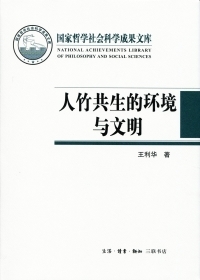 Dr. Tsuo-Ming Hsu 徐佐銘, a member of AEAEH, has his article entitled “On Some Philosophical Problems in Rachel Carson’s Three Books about the Sea (論瑞秋卡森海洋三書裡的幾個哲學問題)” publish in Applied Ethics Review [應用倫理評論] Vol. 60 (2016), pp. 219-238. 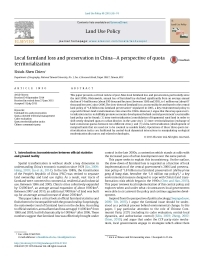 Dr. Shiuh-Shen Chien 簡旭伸, a member of AEAEH, has his article entitled “Local farmland loss and preservation in China – A perspective of quota territorialization” published in Land Use Policy 49 (2015), pp. 65-74. 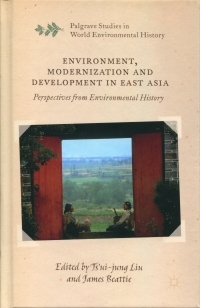 Environment, Modernization and Development in East Asia: Perspectives from Environmental History edited by Ts’ui-jung Liu and James Beattie was published by Palgrave Macmillan, 2016, 301 pages. 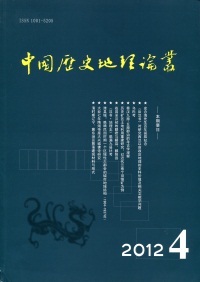 Except for Chapter 1 by E. N. Anderson, other chapters are contributed by AEAEH members: Introduction (James Beattie and Ts’ui-jung Liu), Chapter 2 (James Beattie), Chapter 3 (Jianxiong Ma), Chapter 4 (Shao-hua Liu and Shu-min Huang), Chapter 5 (Thomas Jones), Chapter 6 (Ya-wen Ku), Chapter 7 (Micah S. Muscolino), Chapter 8 (Sheng Fei), Chapter 9 (Hsin-Hsun Huang, Hsin-Huang Michael Hsiao, and Shih-Jung Hsu), and Chapter 10 (Yim-tze Charles Kwong). 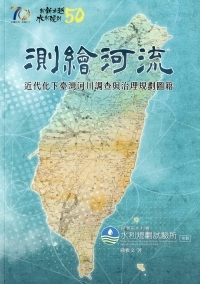 Dr. Hsin-Huang Michael Hsiao 蕭新煌 has edited a new volume entitled, Lessons from Taiwan’s Local Environment: Big Events of Five Cities and Four Counties 台灣地方環境的教訓：五都四縣的大代誌, (Kaohsiung: Chuliu Publishing Co., 2015), 384 pages. The Symposium of the International Conference on the 1600th Anniversary of Tongwancheng 统万城建城一千六百年国际学术研讨会论文集 was edited by Hou Yongjian 侯甬堅 et al., and published by Shaanxi Normal University Press, December 2015, 651 pages. 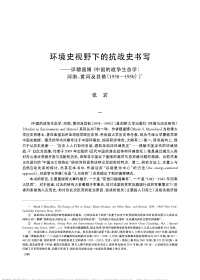 Dr. Chao Xiaohong 鈔曉鴻 has published a new article, entitled “The Turbidity and Clarity of the Rivers Jing and Wei: An Analysis of the Examination undertaken during the Qianlong Reign and Its Implications (泾渭清浊：乾隆朝的考察辨析及其功用意义),” Social Sciences in China [中国社会科学], No. 12, 2015, pp. 177-198. Dr. Der-Chin Horng 洪德欽 has his article entitled, “EU Food Safety Institutions: Lessons for Taiwan’s Food Safety Reform (歐盟食品安全制度對臺灣食安改革的啟示),” published in NTU Law Journal [臺大法學論叢], Vol. 44 Special Issue (November 2015), pp. 1163-1236. 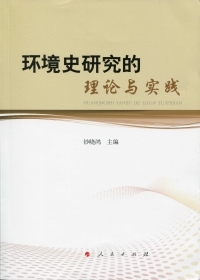 Dr. Lu Shaoli 呂紹理, a member of AEAEH, has his article entitled “From Insect to Pest: Pest and Pest Control in Colonial Taiwan (從螟蛉到螟害：近代臺灣農業的蟲害及其防治),” published in Historical Inquiry [臺大歷史學報], Number 56 (December 2015), pp. 133-188. 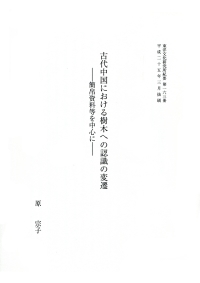 Full text available at: DOI:10.6253/ntuhistory.2015.56.04. 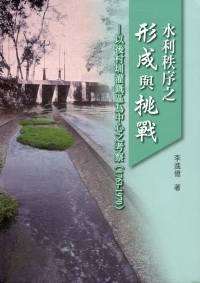 Dr. Li Chin-yi 李進億, a member of AEAEH, has his new book entitled, Formation and Challenge of Water Conservancy Order: A Case Study of the Hou-cun Irrigation System (1763-1970) [水利秩序之形成與挑戰─以後村圳灌溉區為中心之考察(1763-1970)], published by Academia Historica 國史館, Taipei, Taiwan (December 2015), 393 pages. 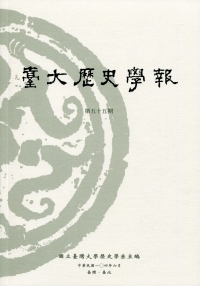 (2) Yan Dongkai 閻東凱, “Place Name Culture and Forms of Frontier Migrant Societies: Taking the Northern Foot of Tian Shan from the Qing Dynasty to the Period of the Republic of China as an example (地名文化與邊疆移民社會形態──以清至民國時期天山北麓地區為核心)”, pp. 139-147. 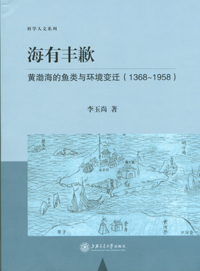 Dr. Zhu Marlon 朱瑪瓏, an Assistant Research Fellow of the Institute of Modern History, Academia Sinica, published an article in Chinese, entitle: “Inter-Port Engineering: A Survey of the Woosung Bar near Shanghai by Two Dutch Hydrographic Engineers from Japan in 1875 (「港際工程」： 1875年來自日本的兩位荷蘭水利工程師對上海吳淞內沙的調查),” Bulletin of the Institute of Modern History, Academia Sinica [中央研究院近代史研究集刊], No. 90 (December 2015), pp. 55-93. 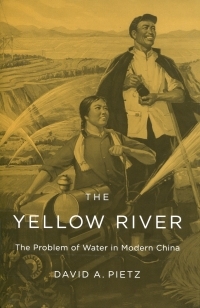 Dr. David A. Pietz has his new book, The Yellow River: The Problem of Water in Modern China, published by the Harvard University Press, 2015, 367 pages. Courtney A. Bayes, James Beattie (a member of AEAEH) and Ian C. Duggan have published an article entitled, “Boring Through History: An Environmental History of the Extent, Impact and Management of Marine Woodborers in a Global and Local Context, 500 BCE to 1930s CE,” in Environment and History, Volume 21, Number 4 (November 2015), pp. 477-512. 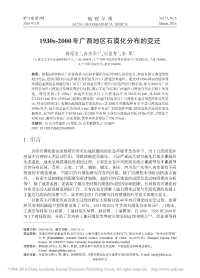 An article entitle, “Study on the Changes of Toutun River and Santun River in Xinjiang and the Influencing Factors in the Past 300 Years (近300年来新疆头屯河与三屯河的变迁及其影响因素)” by Zhang Li 張莉 (a member of AEAEH) and An Ling 安玲was published in Journal of Chinese Historical Geography [中國歷史地理論叢], Vol. 30, No. 3 (July 2015), pp. 5-17. 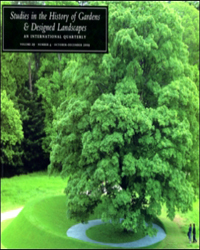 A special issue of Reading Environmental History from Historical Documents (史資料から読み解く環境史) including six subjects dealing respectively with (1) the environment and life read from old photography, (2) changes in the environment of underground water seen from maps of beauty spots, (3) using aerial photography and maps in the study of environmental history, (4) nature and human read fromancient documents, (5) the environmental history read from statistical materials, and (6) the distribution of mammals and historical changes seen from historical materials, is published in SEEDER, 2015 No. 12 (March 2015). Of the six subjects, the fifth one is contributed by a member of AEAEH, Hiroshi KAWAGUCHI 川口洋. 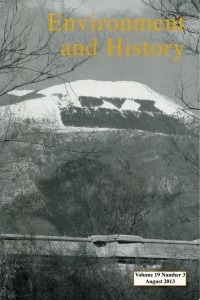 An article entitled “An Overall Study on Historical and Cultural significance of Mount Huashan (神山．奇山．英雄山──西岳华山历史文化蘊义的全程叩问)” by Hou Yongjian 侯甬堅, a AEAEH member, is published in Journal of Huazhong Normal University (Humanities and Social Sciences) [华中师范大学学报(人文社会科学版), Vol. 53, No. 4 (July 2014), pp. 100-120. 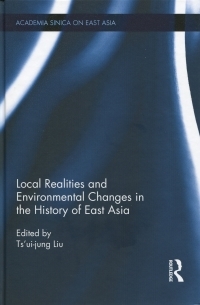 Local Realities and Environmental Changes in the History of East Asia, edited by Ts’ui-jung Liu with introduction, is published by Routledge in September 2015. This volume is a collection of eight chapters revised from papers originally delivered at EAEH2013. The contributors are all members of AEAEH; they are Lihua Wang (Chapter 1), Satoshi Murayama (Chapter 2), Cho-Ying Li (Chapter 3), Marlon Zhu (Chapter 4), Li Zhang and Dongkai Yan (Chapter 5), Chun-chieh-Chi (Chapter 6), Beatrice M Bodart-Bailey (Chapter 7), and M. William Steele (Chapter 8). 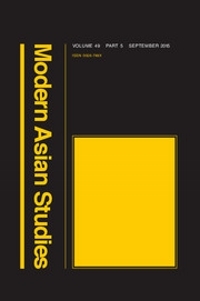 Dr. Joseph Lawson, Lecturer in Modern Chinese History, Newcastle University, has an article, “Unsettled Lands: Labour and land cultivation in western China during the War of Resistance (1937–1945)”, published in Modern Asian Studies, Volume 49, Issue 05, September 2015, pp 1442-1484. 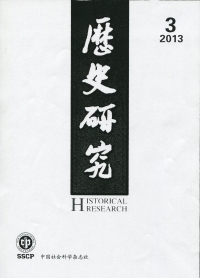 Dr. Su-bing Chang 張素玢 has published an article entitled “Taiwan Historical Research in 2012-2013: Retrospect and Prospect (2012-2013年臺灣史研究的回顧與展望)” in Taiwan Historical Research [臺灣史研究], Vol. 22, No. 2 (June 2014), pp. 197-282. 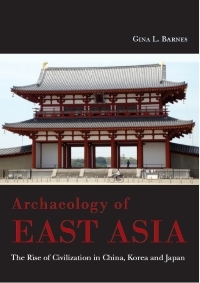 A new book by Gina L. Barnes, new member of AEAEH, entitled Archaeology of East Asia: The Rise of Civilization in China, Korea and Japan, is published by Oxbow Books in August 2015. 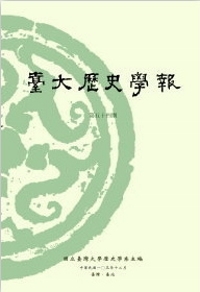 This book is a complete rewrite and update of The Rise of Civilization in East Asia, first published in 1993. 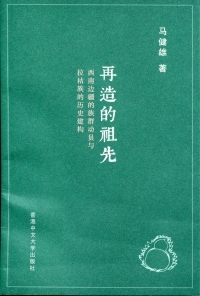 Dr. Tseng Pin-tsang 曾品滄, Assistant Research Fellow at the Institute of Taiwan History, Academia Sinica, published an article entitled “The Exploitation of the Tai-jiang Reclaimed Land and the Government-Business Interest Structure of Taiwan Prefecture in the Nineteenth Century (十九世紀臺江海埔墾地開發與臺灣郡城的官商利益結構)”, in Historical Inquiry [臺大歷史學報], No. 55 (June 2015), pp. 125-171. 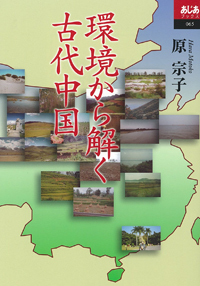 The latest issue of Journal of Chinese Historical Geography [中國歷史地理論叢], Vol. 30, No. 2 (April 2015), includes a special section in memorial of Mr. Chen Qiaoyi 陳橋驛 (1923-2015), an eminent Chinese historical geographer who passed away on 11 February 2015. The AEAEH member, Hou Youngjian 侯甬堅, contributes an article, “A Country Worthy Professor Living in Hangzhou─The state of mind of Mr. Chen Qiaoyi (住在杭州城的鄉賢教授─陳橋驛先生之心境)”, pp. 20-23. 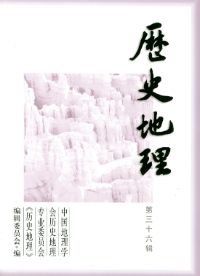 Dr. Chiang Chu-shan 蔣竹山, Associate Professor of National Dong Hwa University, has published two new books in Chinese. 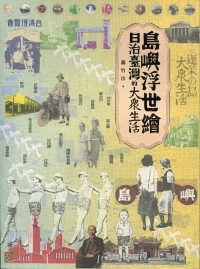 The one entitled Island’s Genre Picture: Life of the masses in Taiwan under Japanese rule [Daoyu Fushihui: Rizhi Taiwan de Dazhong Shenghuo 島嶼浮世繪：日治臺灣的大眾生活], (Taipei: Weilan wenhua chubanshe 蔚藍文化出版社, April 2014), 380 pages. The other entitled Ginseng Empire: Production, consumption, and medical treatment of ginseng in Qing dynasty [Rensen Diguo: Qingdai rensen de shengchan, xiaofei yu yiliao 人參帝國：清代人參的生產、消費與醫療], (Hangzhou: Zhejiang University Press, March 2015), 285 pages. 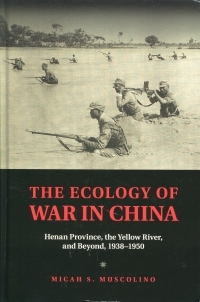 Dr. Micah S. Muscolino’s new book, The Ecology of War in China: Henan Province, the Yellow River, and Beyond, 1938-1950, was published by New York: Cambridge University Press (2015), 294 pages. An article by Chi-ying Chang 張繼瑩, “Environmental Changes and the Irrigation Regulations in the He-Jing Area of Shanxi, 1368-1935 (山西河津三裕地區的環境變動與水利規則，1368-1935),” was published in Soochow Journal of History [東吳歷史學報] No 32 (December 2014), pp. 115-159. 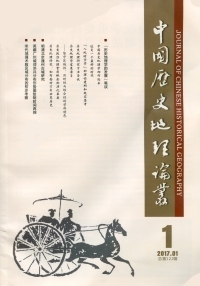 Two articles by AEAEH members are published in Journal ofChinese Historical Geography [中國歷史地理論叢], Vol. 29, No. 4 (October 2014). (1) Pan Wei 潘威, “A preliminary study of late Qianlong Yellow River silver space levy amount morphological characteristics─based on Shandong in 1792 AD”, pp. 5-12. (2) Liu Jing and Lan Yong 藍勇, “From the cultural concept to the scientific concept─name and reality and distribution of Chinese ancient Jiayu”, pp. 129-138. A new work by Chang Su-Bing 張素玢 entitled Zhuoshuixi sanbainian: lishi．shehui．huanjing 濁水溪三百年：歷史．社會．環境 (Three Hundred Years of the Zhuoshui River: History, Society, Environment) was published by Weicheng 衛城Publishing Company in June 2014. 274 pages. 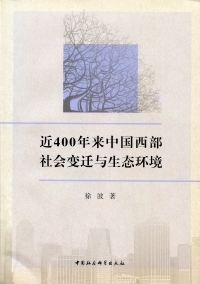 A new book by Xu Bo 徐波 entitled Jin 400 nianlai Zhongguo xibu shehui bianqian yu shengtai huanjing近400年来中国西部社会变迁与生态环境 (Social Changes and Ecological Environment in West China during the past 400 Years) was published by Beijing: China Social Sciences Press 中国社会科学出版社 (2014.4), 550 pages. In Taiwan Historical Research臺灣史研究Vol. 21, No. 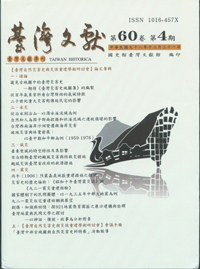 2 (June 2014), there are two articles written in Chinese by AEAEH members: “Emergence of Pig Trade: Development of Commercial Economy in North Taiwan, 1881-1900” (pp. 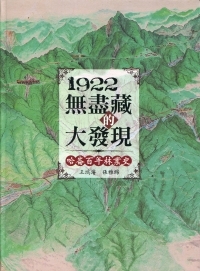 33-98) by Pin-tsang Tseng 曾品滄, and “Application of Historical GIS to Taiwan Regional History Studies in the Last 20 Years” (pp. 167-196) by Chung-hsin Li and Ya-wen Ku 顧雅文. 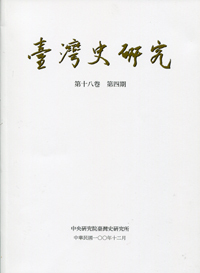 The Society of Studies on Chinese Excavated Materials 中国出土資料学会 just published a volume of 《地下からの贈り物》(Gifts from Underneath the Earth) (Tokyo: Tōhō Shoten 東方書店, June 2014) which included a preface and an article, “自然環境の变化を辿る (Follow up the changes of natural environment, pp. 62-69) by Hara Motoko 原宗子. 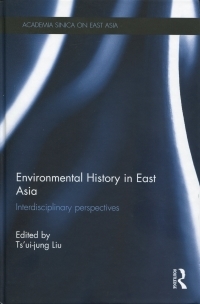 A volume produced from the First Conference of East Asian Environmental History (EAEH2011), entitled Environmental History in East Asia: Interdisciplinary Perspectives is just published in the series of Academia Sinica on East Asia by Routledge (first published 2014). This volume is edited by Ts’ui-jung Liu with an introduction and 18 articles by: 1 Mark Elvin, 2 Yim-tze Kwong, 3 Susumu Kitagawa, 4 Jin Liu and Lei Kang, 5 Yan Gao, 6 Kohei Matsunaga et al. 7 Jianxiong Ma, 8 Shu-min Huang, 9 Chih-da Wu et al, 10 Xinhao Du and Bo Jen, 11 Shinobu Iguro, 12 Peter Lavelle, 13 Zhaoqing Han, 14 Emiko Higami and Kenichi Tomobe, 15 Hiroshi Kawaguchi, 16 Michael Shiyung Liu, 17 Mika Merviö, and 18 Paul Jobin. All authors are members of AEAEH. Two articles of AEAEH members were published in the Journal of Chinese Historical Geography (中國歷史地理叢), Vol. 28, No. 4 (October 2103). (1) “Famous Families and Construction of Landscapes and Environment at Yang Zhou Region during the Ming and Qing Dynasty──A Comprehensive Analysis on Beihu District 明清扬州世族与景观环境之营建──以北湖地区为核心之考察”by An Jiesheng安介生, pp. 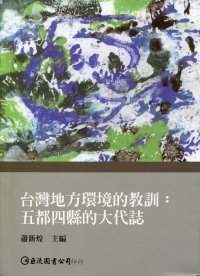 15-30; (2) “Chinese Environmental History through a Kaleidoscope────A review on China: Its Environment and History万花筒视角下的中国环史──《中国的环境和历史》书评” by Han Zhaoqing韩昭庆, pp. 151-157. 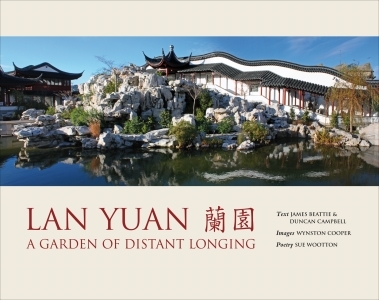 Dunedin’s Chinese garden: LAN YUAN 蘭園: A GARDEN OF DISTANT LONGING by James Beattie and Duncan Campbell was published by the Shanghai Museum and the Dunedin Chinese Garden Trust, 2013. Reinventing Ancestor: Ethnic Mobilization in China’s Southwest Frontier & the Historical Construction of Lahu再造的祖先：西南邊疆的族群動員與拉祜族的歷史建構 by Ma Jianxiong 馬健雄 was published by the Chinese University Press, Hong Kong, (2013), 210 pages. Passage to Manhood: Youth migration, Heroin, and AIDS in Southwest China我的涼山兄弟: 毒品、愛滋與流動青年 (Wo de Liangshan xiongdi: dupin, aizi yu liudong qingnian) by Liu Shao-hua劉紹華 was published by Socio Publishing C. Ltd. 群學出版有限公司, Taipei, 2013, 366 pages. 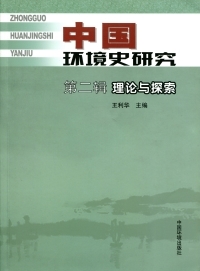 Zhongguo Huanjingshi Yanjiu 中國環境史研究 (Studies on Environmental History of China) , Volume 2: Theory and Investigation 第二輯: 理論與探索, edited by Wang Lihua 王利华 was published by China Environmental Science Press 中國環境出版社, Beijing, (June 2013), 355 Pages. 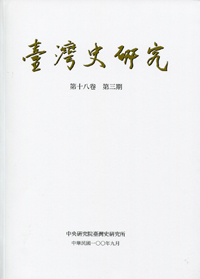 人竹共生的环境与文明 (Environment and Civilization of Human-Bamboo Symbiosis in ChinaL A Permanent Green History) by Wang Lihua 王利华 was published by SDX Joint Publishing Company 生活．讀書．新知三联书店, Beijing, (March 2013), 415 pages. “古代中国における樹木への認識の変遷 : 簡帛資料等を中心に (How the Trees were Recognized in Ancient China? 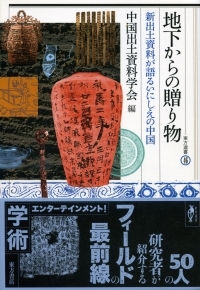 )” by HARA Motoko 原宗子 was published in東洋文化研究紀要 (The Memoirs of the Institute for Advanced studies on Asia), No. 163 (March 2013), pp. 1-45. 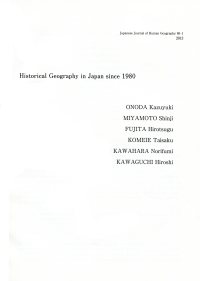 “Historical Geography in Japan since 1980” by ONODA Kazuyuki, MIYAMOTO Shinji, FUJITA Hirotsugu, KOMEIE Taisaku, KAWAHARA Norifumi, and KAWAGUCHI Hiroshi 川口洋 was published in Japanese Journal of Human Geography, 65-1 (2013), pp. 1-27. 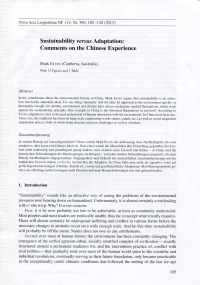 “Sustainability versus Adaptation: Comments on the Chinese Experience” by Mark Elvin is published in Nova Acta Leopoldina, NF 114, Nr. 390 (2013), pp. 105-128. Two articles by AEAEH members are published in the Journal of Chinese Historical Geography (中國歷史地理論叢), Vol.28, No.3 (July 2013). 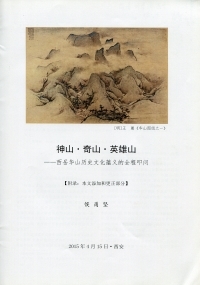 (1) “The Mulberry-Band Agricultural Habitat in Jiahu Area in Ming Dynasty (明代嘉湖地區的桑基農業生境)” by Wang Jian’ge 王建革, pp. 5-17; (2) “ The Researching Trend of American Environmental History in the Past Ten Years: A Discussion Centered on Environmental History (近十年來美國環境史研究的動向──以《環境史》期刊為中心的探討)” by Tong Xuelian and Zhang Li 張莉, pp. 151-160. 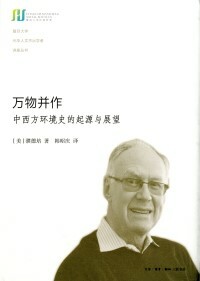 A book review by Wang Lihua 王利华 on Robert B. Marks, China: Its Environment and History (Landham, MD: Rowman & Littlefield Publishers, 2012) is available in Environment and History, Volume 19 Number 3 (August 2013), pp. 371-373. 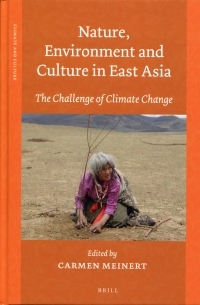 Two articles of AEAEH members are included in Nature, Environment and Culture in East Asia: The Challenge of Climate Change, edited by Carmen Meinert, (Leiden-Boston: Brill, 2013). One article is “A Retrospection of Climate Changes and their Impacts in Chinese History” by Ts’ui-jung Liu, pp. 107-136, the other is “Manipulating the Yellow River and the State formation of the Northern song dynasty” by Ling Zhang, pp. 137-159. 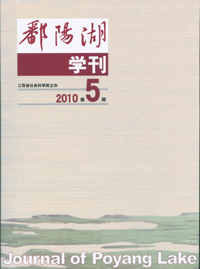 Five articles focus on reflections of environmental history by five members of AEAEH are published in Lishi Yanjiu歷史研究 (Historical Research), 2013, No. 3, pp. 4-40. 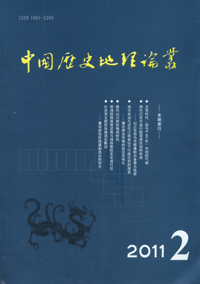 The authors of these articles are Chao Xiaohong (鈔曉鴻), J. Donald Hughes (唐納德．休斯), Wang Lihua (王利华), Hou Yongjian (侯甬堅) and Fu Chengshuang (付成双). The topics of their discussions are, respectively, to deepen the research on environmental history, dimensions of environmental history, to discover and evaluate facts of ecological history, a reflection on the thesis of “environment destruction”, and the environmental historical perspective of modernization in the USA. “A Study on the Rebuilding of Historical Landuse of Ming Area: A Case of the Ko-chiu Tin in Yunnan (历史矿区土地利用重建研究：以近代云南个旧钖矿为例)” by Yang Weibing 杨伟兵 and Yang Bin was published in Journal of Chinese Historical Geography中國歷史地理叢, Vol. 27, No. 4 (October 2012), pp. 59-69. 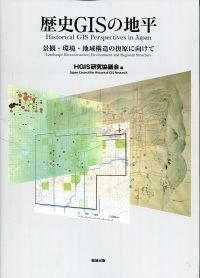 Historical GIS Perspectives in Japan: Landscape Reconstruction, Environment and Regional Structure (歷史GISの地平：景觀．環境．地域構造の復原に向けて) editedby Japan Council for Historical GIS Research (HGIS研究協議會), with Kawaguchi Hiroshi 川口洋 as one of the editors, was published by Tokyo: Bensei Publishing Co. 勉誠出版 on 30 March 2012. 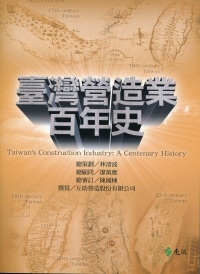 Taiwan yingzaoye bainianshi 臺灣營造業百年史 (Taiwan’s Construction Industry: A Century History), complied by the team of Fu Tsu Construction 互助營造 and edited by Chen Kuo-tung 陳國棟, was published by Yuanliu 遠流 in Taipei, August 2012. Katana and Lancet: The Transformation, Assimilation and Diffusion of Western Medicine in Japan (武士刀與柳葉刀──日本西洋醫學的形成與擴散) by Liu Shi-yung (劉士永) was published by National Taiwan University Press 臺大出版中心 in March 2012. Paihuai zai ren yu ziran zhi jian ─ Zhongguo shengtai huanjing shi tanso 徘徊在人与自然之间─中国生态环境史探索 (Walking back and forth between human and nature ─ Explorations of ecological and environmental history of China) by Wang Lihua 王利华was published by Tianjing guji chubanshe 天津古籍出版社 in January 2012. “A Discussion of the Vegetation along the Traffic Routes and the Distribution of Karst Rocky Desertification within Guizhou Province in the Ming Dynasty and early Qing Dynasty (明代至清初贵州交通沿线的植被及石漠化分布的探讨) by Han Zhaoqing (韩昭庆) and Lu Liwen, in Journal of Chinese Historical Geography (中國歷史地理論叢), Vol. 27, No. 1 (January 2012), pp. 26-39 and 46. 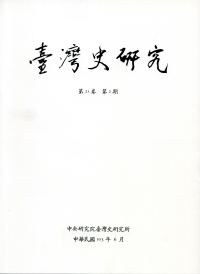 “The Dilemma Facing the Choshui River (濁水溪的歷史難題)” by Su-bing Chang (張素玢), In Taiwan Historical Research (臺灣史研究), Vol. 18, No. 4 (December 2011), pp. 165-199. “Temporal and Spatial Distribution Pattern of Early-Middle Holocene Cultures and Its Possible environmental Diver Factors in the North China Plan (河北及京津地区早中全新世的时空分布及其气候环境因素)” by Cui Jianxin (崔建新) and Zhou Shangzhe (周尚哲) was published in Journal of Chinese Historical Geography (中國歷史地理論叢), Vol. 26, No. 4 (October 2011), pp. 66-76. “Historical Research of Cinchona Cultivation and Quinine Production in Colonial Taiwan (日治時期臺灣的金雞納樹栽培與奎寧製藥)” by Ya-wen Ku (顧雅文) was published in Taiwan Historical Research (臺灣史研究), Vol. 18, No. 3 (September 2011), pp. 47-91. 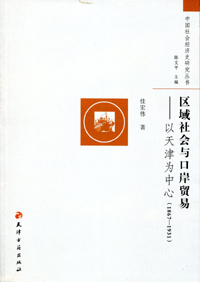 Regional Society and Trade at Treaty Port: A Study on Tianjin, 1867-1931 (区域社会与口岸贸易──以天津为中心，1867-1931) by Jia Hong-wei (佳宏伟) was published by Tianjin Guji Cubanshe 天津古藉出版社 (2010). A General History of Chinese Agriculture (中国农业通史) edited by Wang Lihua (王利华) was published by Beijing: Zhongguo Nongye Chubanshe 中國農業出版社 (2009). 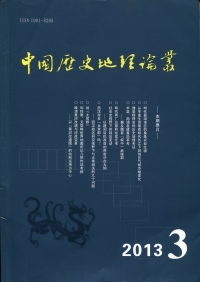 The Construction of Jiangnan Seawall and the Environment in Ming-Qing Period (明清 “江南海塘” 的建设与环境) by Daxue Wang (王大学) was published by Shanghai People’s Press上海人民出版社 (2008). 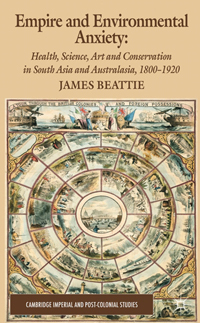 Empire and Environmental Anxiety: Health, Science, Art and Conservation in South Asia and Australasia, 1800-1920 by James Beattie was published by Basingstoke: Palgrave Macmillan in 2011. "Making Home, Making Identity: Asian Garden-Making in New Zealand, 1850s-1930s" by James Beattie, in Studies in the History of Gardens & Designed Landscapes, 31, 2 (2011), pp.139-159. 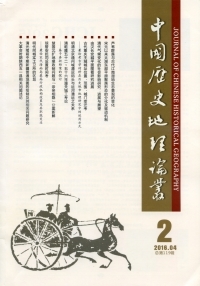 Two articles by AEAEH members were published in Journal of Chinese Historical Geography (中國歷史地理論叢), Vol. 26, No. 1 (April 2011). (1) “A Discussion on Research’s Method of Historical climate with the Phenology: Answers on the Northern Boundary of Lichi’s Distribution in the upper Yangtze River in Tang Dynasty and Relationship with the Temperature Fluctuations (采用物候学研究历史气候方法问题的讨论——答〈再论代长江上游地区的枝分布北界及其与气温波动的关系〉一文” by Lan Yong (蓝勇), pp. 14-20. 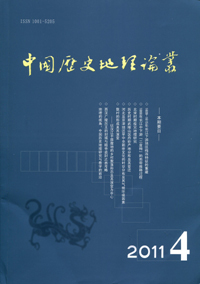 (2)Prevention and Response to Calamities: a general report of the Conference on Calamities and Social Changes in Southwest China and the Seventh International Conference on the History of Calamities in China (灾害及其防御和应对——“西南灾茺与社会变迁”暨第七届中国灾害史国际学术研讨会综述)” by Zhou Qiong (周琼), pp. 156-159. Sea has Good and Poor Harvests: The Fish of Yellow Sea and Bohai and Environmental Change (1368-1958) 海有丰歉：黃渤海的鱼类与环境变迁(1368-1958) by Li Yu-shang 李玉尚, Shanghai: ShanghaiJiaoTongUniversity Press, 2011. “Environmental Exploration and Exploitation of Natural Resources in 17th-Century Taiwan under Dutch Colonization (釋析十七世紀荷蘭據臺時期的環境探索與自然資利用)” by Hua-pi Tseng (曾華璧), in Taiwan Historical Research (臺灣史研究), Vol. 18, No. 1 (March 2011), pp. 1-39. Three articles in the Journal of Chinese Historical Geography (中國歷史地理論叢), Vol. 26, No. 1: “The Rice Ecology and the Paddy Soil Formation in Wusong River Valley in Song and Yuan Dynasty (宋元時期吳淞江流域的稻作生態與水稻土形成)” by Wang Jiange (王建革), pp. 5-16; “A Comparative Study of the Distribution of Suspect Karst Rocky Desertification Recorded in the Archives from the 1940s and that from Today’s Survey (貴州民國檔案中所見‘疑似石漠化’ 與今日石漠化分布狀況的比較研究)” by Han Zhaoqing (韓昭慶) and Yang Shicha, p. 32-40; and“The Quantitative Analysis of the Lingnan’s Mobile Literati in Tang Dynasty (唐代嶺南流動文人的數量分析)” by Zuo Peng (左鵬), pp. 93-101. “Hazards and Protest in the ‘Green silicon Island’: The Struggle for Visibility of Industrial Hazards in Contemporary Taiwan” by Paul Jobin, in China Perspectives (神州展望), No. 2010/3, pp. 46-62. “Prevalence of Pneumoconiosis in Taiwan and Mainland China and Its Implications” (塵肺在臺灣和中國大陸發生的情況及其意涵) by Ts’ui-jung Liu (劉翠溶), Taiwan Historical Research (臺灣史研究), Vol. 17, No. 4 (December 2010), pp. 113-162. 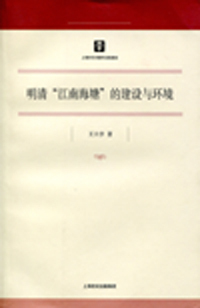 “Medicine, business, and social imagination: scientificalizing and scientific Chinese medicine in colonial Taiwan” (醫學、商業與社會想像：日治臺灣的漢藥科學化與科學中藥) by Shiyung Michael Liu (劉士永), Taiwanese Journal for Studies of Science, Technology and Medicine (科技、醫療與社會), Issue 11 (October 2010), pp. 149-197. 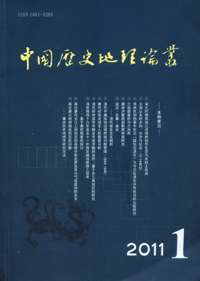 “The Concept of the System of Ecological Understandings and its Significance in Environmental History Studies – a Brief Discussion on the Modes of Ecological Cognition in Chinese History” (“生态知识系统”的概念及其史学意义―兼议中国环境史上的生态识知方式) by WANG Li-hua (王利华), Journal of Poyang Lake (鄱陽湖学刊), No. 5, 2010 (September), pp. 40-49. “On Literati’s Lingnan Images in Tang Dynasty: in View of Environmental History” (“南方本多毒，北客恒惧侵”：略论唐代文人的岭南意象) by Li Rong-hua (李荣华), Journal of Poyang Lake (鄱陽湖学刊), No. 5, 2010 (September), pp. 55-60. “The Distribution, Development and Quantitative Fluctuation of the Pagrosomus major in the Yellow Sea and Bohai Sea since the Qing Dynasty” (清代以来黄渤海真鲷资源的分布、开发与变迁) by Li Yushang, Che Qun, chen Liang (李玉尚、车群、陈亮), Journal of Chinese Historical Geography (中國歷史地理論叢), vol. 25, No. 3 (July 2010), pp. 125-137. 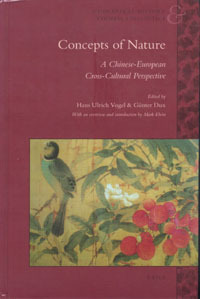 Concepts of Nature: A Chinese-European Cross-Cultural Perspective. 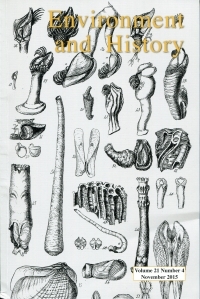 Edited by Hans Ulrich Vogel and Günter Dux. With an overview and introduction by Mark Elvin. Leiden, The Netherlands: Koninklijke Brill NV, 2010. 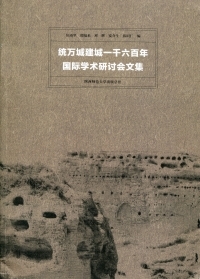 Desert, Rivers, Lakes, Deltas: Studies in China’s Regional Environmental History (荒漠、水系、三角洲：中国环境史的区域研究) by Han Zhaoqing (韩昭庆) was published by Shanghai Scientific and Technological Literature Publishing House Co. Ltd. in April 2010. “From Water Control to Forest Conservation – the Case of Zhuoshui River Basin” (從治水至治山―以濁水溪流域為例) by Su-bing Chang (張素玢),Taiwan Historica (臺灣文獻), Vol. 60, No. 4 (December, 2009), pp. 81-130. 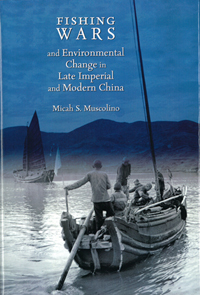 Fishing Wars and Environmental Change in Late Imperial and Modern China by Micah S. Muscolino, Harvard East Asian Monograph 325, was published by Harvard University Asia Center in 2009. 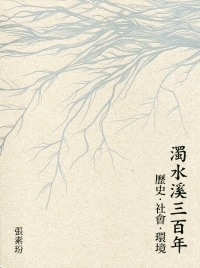 Hara Motoko (原宗子) was published by Taishukan (大修館書店), Tokyo, in 2009. A Special Issue: Island Environmental Histories and Management in the Asia-Pacific Region containing 11 articles published in Asia-Pacific Forum, No. 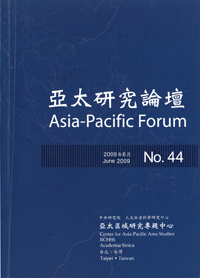 44 (June 2009), by Center for Asia-Pacific Area Studies, RCHSS, Academia Sinica. Among the authors, Huei-Min Tsai, Hsin-Huang Michael Hsiao, and Eric Clark are AEAEH members. 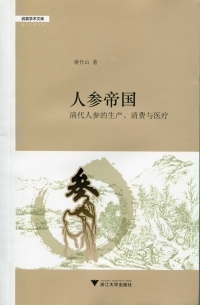 Ecological History and Forest Conservation in Ancient China by Choi Duk-kyung (崔德卿), written in Korean with English and Chinese abstracts, Pusan University, Korea, 2009. During 1994-1996, Chinese Environmental History Newsletters edited by Professor Helen Dunstan were circulated quite widely. These newsletters have become valuable old documents of Chinese Environmental History. Thanks to Professor Dunstan’s agreement and her efforts to apply a new format to convert old files, these documents are now posted on this website of AEAEH for your reference.